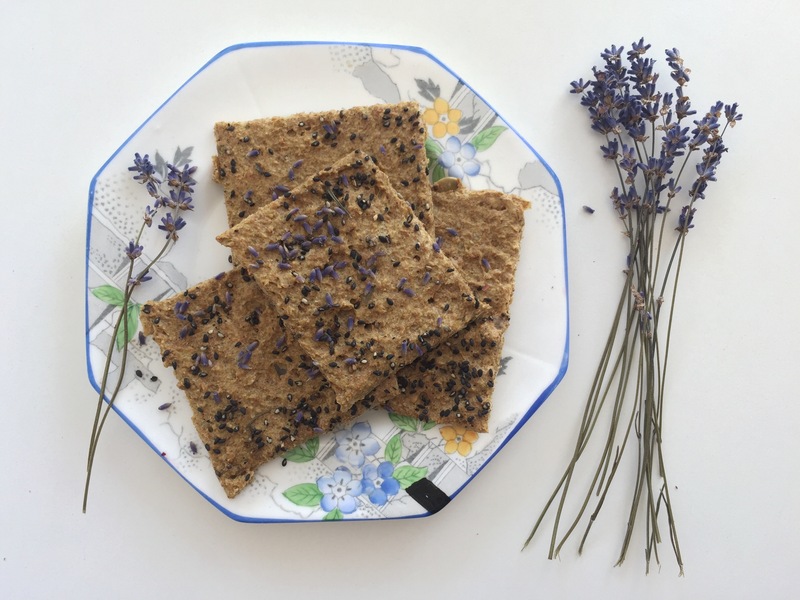 Flax Seed Cracker Recipe – with a sprinkle of lavender flowers. …but you really need to add some spices and herbs (2-3 tea spoons) to the recipe other wise they would be pretty bland. I usually sprinkle lavender flowers on mine (which smells amazing when they’re baking! ), and a few spices like turmeric and caraway seeds. Sunflower and pumpkin seeds give them a bit more bite. Black pepper and rosemary is a nice combination, but really you can add anything you like – chilli powder, lemon zest, fennel seeds – (Check out my blog ‘The Art of Blending Essential Oils’ for some more tips & inspiration). ♥ If you have whole flax seeds put them in a blender and grind to a fine dust. ♥ Blend the ground flax seeds with spices and herbs (and other seeds) in a bowl and then add the water and mix until it becomes a gooey mess. ♥ Line a baking tray with parchment paper and place the seed mixture in the centre. Cover with another baking sheet and flatten with a rolling pin. Try to make it as thin as possible but be quick or the mix will stick to both sheets..
♥ Once flat, you can sprinkle with sesame seeds, lavender flowers etc., press down with your hands so they stick and place in the oven. ♥ After about 5 minutes, remove from the oven and run a knife or a pizza cutter along the tray to score your desired cracker shapes. ♥ Bake for one hour then turn the oven off and leave the crackers in there as long as possible as this dries them out further. Click here to see up and coming workshops (which generally include fragrantly themed healthy snacks). When you can’t see the Roses for the Weeds – Appreciation is the Key! Recently, I had the absolute pleasure of working at Hever Castle, in Kent, during their summer event: ‘Hever In Bloom’ -it’s a week in their calendar when the gardens are in full bloom and I gave daily talks and ran workshops for visitors about essential oils. You have the most beautiful rose garden, you’ve put lots of work into it leading up to the summer and there is an entire rainbow of coloured flowers on show, delicious scents that make you swoon and an abundance of wild life enjoying the full blooms in all their glory. It’s a stunning sight and everyone that passes by is impressed and can’t help but enjoy it. It’s worth considering how much we bring appreciation into our daily life. How often do we bat away a compliment by playing it down, ignoring it, completely denying it, or possibly admitting it with a ‘Yes, but…’ deflection. What would happen if we actually accepted that compliment and realised the importance of showing and sharing our natural, unique and lovely qualities? We are taught to not blow our own trumpet, but what if the more we blow our own trumpet, the more others will realise it’s ok to blow theirs and before long we’ll have a full blowing orchestra of people shining. The music is then enjoyed by many, just as the beauty of the rose garden is, and we too can enjoy and cherish ourselves with out holding back or playing small. If it feels a little awkward to accept a compliment and enjoy the rose garden in full (while still taking care of the weeds) then we can start to bring appreciation into our daily life. This can be as simple as taking a moment in between the day’s tasks and recognising the completion before rushing onto the next task. We can easily get caught in the overwhelm of ‘things to do’ but if we were to appreciate each little step along the way, then the whole day doesn’t need to pass by under the pressure of trying to get a ‘to do’ list done, with a view to only appreciating and feeling satisfied if we complete it -which never happens as the ‘to do’ list is always never ending! Appreciation can then begin to really bloom, with our rose garden showing the depth of the beauty that resides in us naturally, what ever kind of day we are having. ‘A rose by any other name would smell as sweet’, but there is no trying to be sweet, the sweetness is just there, so take a moment to stop and enjoy it. If you feel like you would like more time to stop and smell the roses, you might like to join ‘‘A Rose Retreat‘ in beautiful Bulgaria, beneath the Balkan mountains, in the rose valley – an opportunity to deepen your understanding of appreciation in a place that will constantly reflect this. Click here for more details. Rose Essential Oil is one I often choose to use with men. When I first began studying essential oils and aromatherapy, I carried out a lot of practice massage sessions on friends and family and I immediately noticed that when I chose the blend of essential oils to use during the treatment, rose oil was making a lot of appearances – it didn’t make a difference if the client was male, in fact I realised that I almost always used it with men. Rose oil has a deeply nurturing quality to it, and using it can support us to bring more of this quality to the way we treat ourselves. So, when I considered how much I was using it with men, it felt important not to shy away from it, because surely men deserve to be nurtured, cherished and adored just as much as women? In fact, it may be more important for them to feel that, because in many cases, they will not have been shown that quality by society. At heart breakingly early ages boys have their sensitivity crushed, by being told to ‘man up’, ‘don’t be a baby’ and that ‘real men don’t cry‘ – before they’re even born their baby grow is picked out in ‘baby blue’. There are so many stereotypes swamping our society of what a man should be like, even the perfume industry dictates what men should smell like, there is a certain style of scent that is always marketed towards men – with more woody, spicy, musky, ‘manly’ notes – compared to a classic ‘feminine’ fragrance which would be light, delicate and floral, and definitely not seen as masculine. Rose is one of my favourite essential oils by far, but I always choose the oils to support the client and why wouldn’t I use one of the most divine, delicate, sweet, lovely essential oils with a man? When a man is naturally himself he is absolute love, tenderness, and so deeply caring. Even the hardest, toughest man is as sensitive as a new born baby under that bravado and given a new born baby to hold he would surrender to this natural delicate tender way in an instant. When I have experienced a man expressing that natural tenderness, it has blown me away, and far from being pathetic or soft, it is truly powerful and either melts me, or makes me feel uncomfortable because it shows me when I’m rushing and not being delicate in the way I move. There is so much more beauty for us to appreciate in men and this is why I have such a tendency to use rose with male clients, wether it be to celebrate that quality in them or to support them in letting it out. Order a Bespoke Rose Perfume or Bespoke Rose Blend that’s ready to use on your skin and in the bath. Men and expression – a video talk on how men grow up as boys in a society determined to encourage competition and to harden our natural tenderness -from Unimed Living. Last week I ran a natural skin care making workshop and the client was suffering from hay fever. It was obvious they would not enjoy the few hours we had together when suffering with congestion in the nose and sinuses, sneezing, eyes watering and itchiness. They did have anti histamines, but I suggested we make a chamomile essential oil blend first to apply around the eye and nose area to see if it would ease the symptoms. Chamomile essential oil is very potent, so you just need a tiny amount, we used 1 drop of oil in 5ml of carrier oil (e.g. apricot oil) and applied around the eyes, across the nose and cheeks. We continued the workshop and the symptoms eased in a few minutes, leaving behind just a little sniffing for the rest of the morning and there was no need to use the anti histamines which often have other unwanted side effects (fatigue, dry mouth). It was a great confirmation to observe for my self how the chamomile blend eased and calmed the allergies swiftly and effectively. Chamomile is great for calming allergic reactions, such as rashes, inflammation and hay fever, it also calms the nervous system which is useful because when suffering from the symptoms it can make your mood quite irritable, aggravated and upset. Caution: You must blend the chamomile essential oil with a carrier oil before applying to your skin, you can use any of the Carrier Oils listed for sale in my shop or simply use a little olive oil from your kitchen cupboard. Click here to order a Bespoke Chamomile Blend to help with hay fever and other allergies. Click here to buy Chamomile Essential Oil. TESTIMONIAL: ‘ My hay fever symptoms have improved a lot thank you. I still get itchy eyes and a little blocked and sneezing but thats usually in the mornings or evening when I need to re-apply the blend. Your bespoke blend is really beautiful to apply thank you. I think in the first few days as my symptoms were so strong I applied quite a lot and then felt a bit greasy as I’m not used to using oils (I’m also quite heavy handed sometimes with things). I am now applying less (3 drops to my face and neck, twice a day unless I need during the day) and it’s working really well thank you. It’s so nice not to be taking medication, which I always avoid if I can. This week I tweaked my beauty ritual and have started to use just pure, organic, cold pressed seed oils on my face and I’m so surprised at how amazing my skin feels – I can’t stop touching it. In the morning, after a bath or shower, I apply a few drops of raspberry seed oil to my face and neck. It smells a little like cucumber which I find fresh and pleasing and it sinks straight in -there is no shine or oily-ness left behind and my skin still feels so soft and silky, even at the end of the day. I haven’t even wanted to put foundation on my skin afterwards because it feels too good. In the evenings I’ve been using black currant seed oil (after cleansing with a little coconut oil and a few drops of lavender and water in the basin). The scent is just like black currants, which is unusual for the seed oil to smell like the fruit, but very delicious. I’m feeling so precious when I spend this time nurturing my skin and appreciating it when I touch my face throughout the day. It has made me consider how many more daily acts of self care there are that I can bring a deeper awareness, appreciation and simplicity to. Things like washing my hands, dressing, preparing a meal – there can be so much joy in it. Do you have a daily self care task that becomes a precious moment because you cherish yourself as you do it? There are many other nourishing oils that can be used as a face oil, including jojoba, apricot and sea buckthorn, click here to see the full range available from Essential Oils and You. Alternatively you can get in touch to request a Bespoke Blend of oils designed especially for you. For more tips and inspiration on Self Care click here. It’s the leaves in the Geranium (Pelargonium) plants that yield essential oil and they come with some incredible scents, including orange, lemon, rose and even chocolate peppermint! To use them in baking, clean the leaves and lay them at the bottom of a cake or bread tin, pour in the mix and whilst baking, the essential oil held in the leaves, will infuse giving a delicate scent and flavour. Turn the tin upside down to remove the leaves before eating (you can leave them in for show, but don’t eat them). Gluten Free Orange and Almond Cake – Recipe by Healthy Cooking for Beginners. Sugar Free Coconut Cake – Recipe by Live Love Nourish. 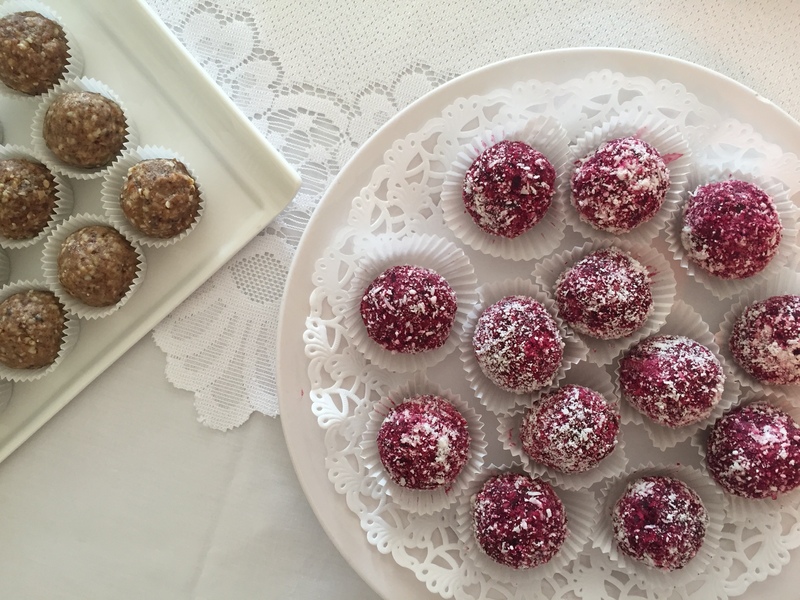 Gluten Free Breads – Recipes by Live Love Nourish. Fibrex Nurseries stock a range of scented leaved pelargoniams that would be suitable for use in baking. Attar of Roses – Scented Leaf Pelargonium from Firbrex Nurseries. Coming Soon – make sure you’re ‘following’ the blog more tips on Cooking with Essential Oils, (click ‘follow’ button on top right of page). 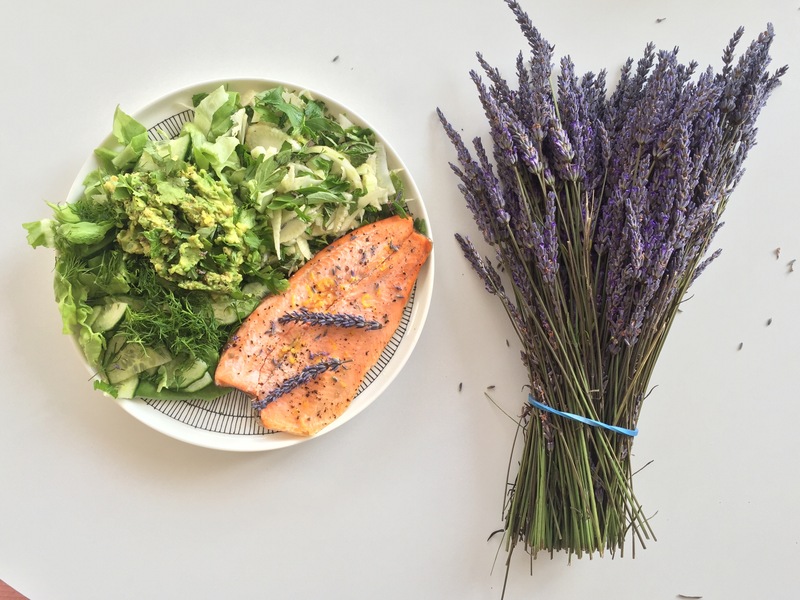 Click here if you missed the previous blog on Cooking with Essential Oils – An Introduction. You may not be aware of it but you’re likely to be cooking with essential oils on a daily basis. Essential oils are made from an array of plant material that contain highly scented volatile parts. This could be eucalyptus leaves, cardamom pods, lavender flowers or rose petals. To make them into an essential oil the plant material goes through a process called distillation. This involves steam passing through and releasing those molecules then capturing the oil as the steam turns back into water. Spices: When you heat up seeds like coriander, cumin and fennel, in preparation for something like a curry or a tagine, it makes for a mouth-watering atmosphere. The essential oils also have an effect on your digestive system by stimulating digestive juices, (hence the ‘mouth-watering’). Try this Garam Masala Recipe to experience the affect of releasing essential oils when preparing a spice mix. 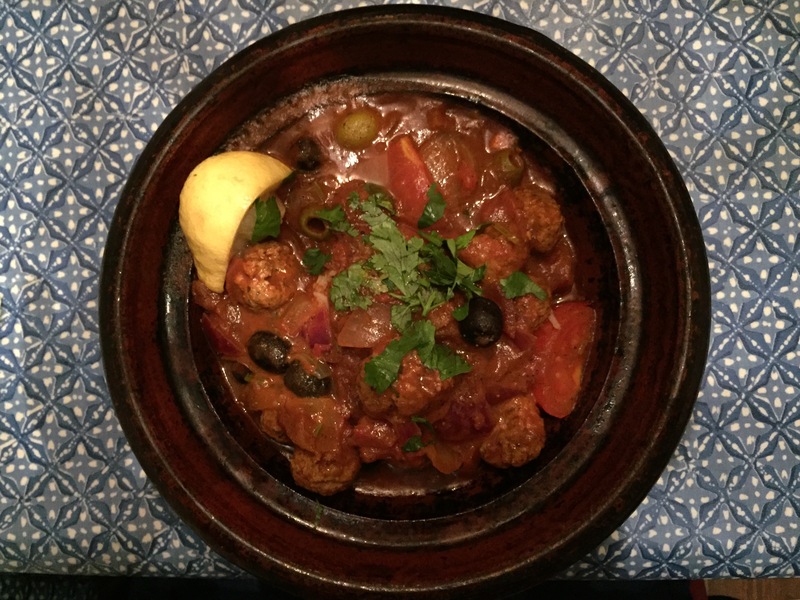 Moroccan Tagine with 12 Spices! Herbs: With some herbs, such as basil, rosemary and thyme, the heat on a sunny day will be enough to initiate a waft of essential oil as you pass by, and on cooler days you may need to rub the leaves with warm fingers to release the scent. Flowers: You can use many flowers in food for their perfume and delicate taste such as roses, orange blossom, geraniums and of course lavender. I have been experimenting with cooking with essential oils and scented plant materials recently and will be sharing some of my recipes and tips in future blogs. 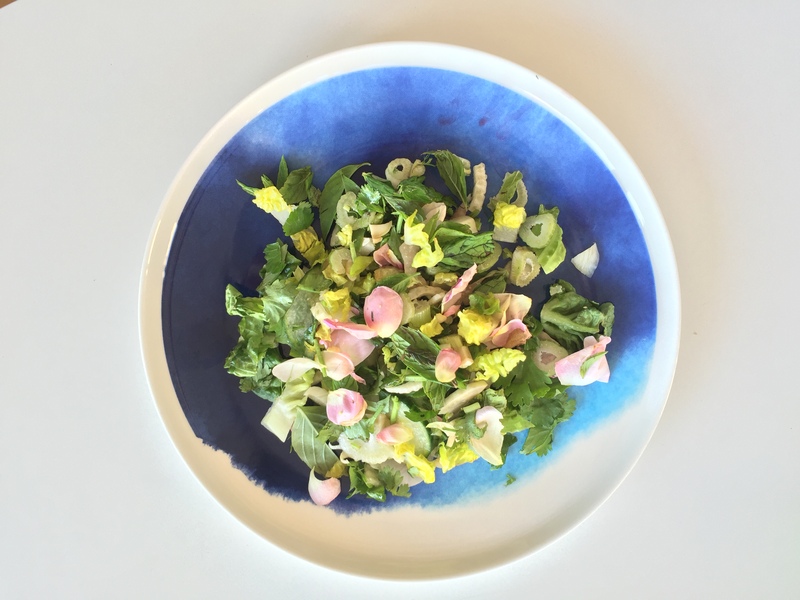 It can be as simple as sprinkling some rose petals on your meal or adding a drop of lemon essential oil to your bottle of olive oil for dressing salads. It doesn’t take much for a magic touch*. Here are a few teasers to tantalise your taste buds. 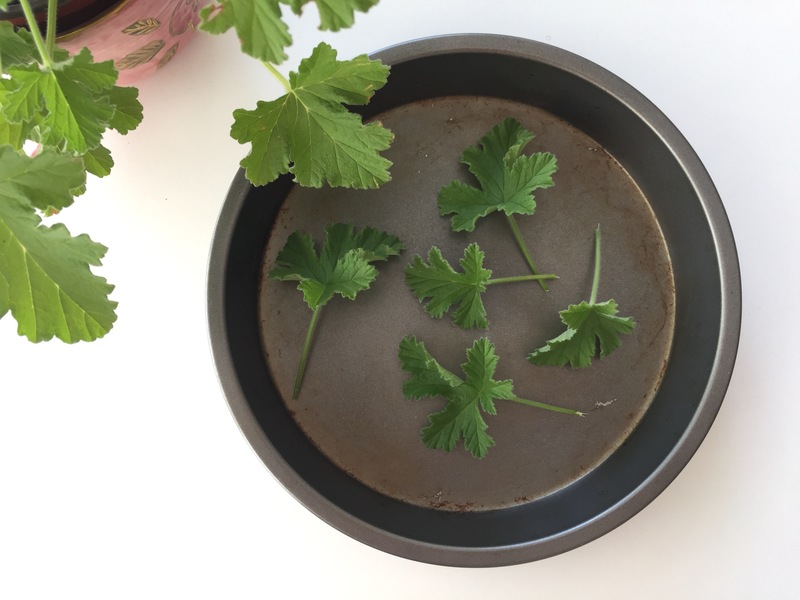 Make sure you’re ‘following’ the blog so you don’t miss out on some unusual ways to cook with scented leaf pelargoniums; a delicious alternative to chocolate brownies using peppermint or orange essential oil; and lots of ways to use lavender, including lavender lamb, lavender loaves and lavender & beetroot! *When using essential oils in cooking you need to be very sure that you are buying from a trust worthy source, where the oil is not diluted, adulterated or synthetic. Get in touch to buy Essential Oils by Laura Hoy.